Monchique is the ideal nature holiday destination. 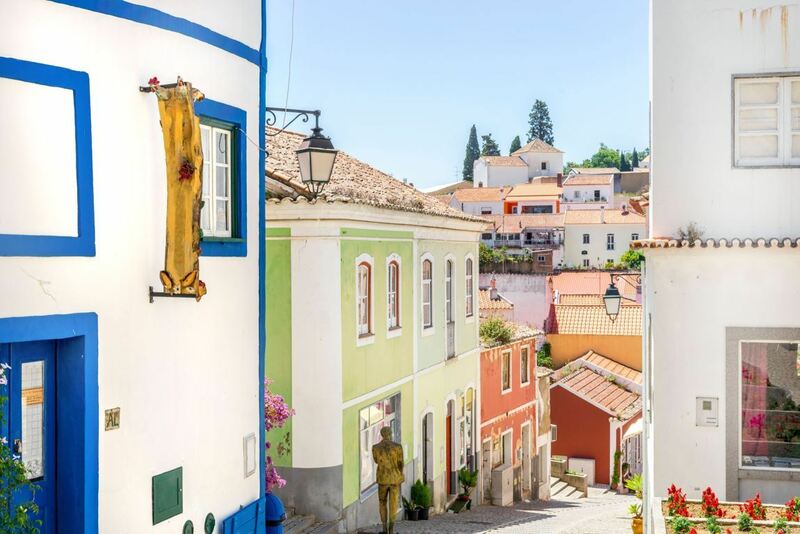 This magnificent town and its surrounding area are one of the most peaceful places in the Algarve. 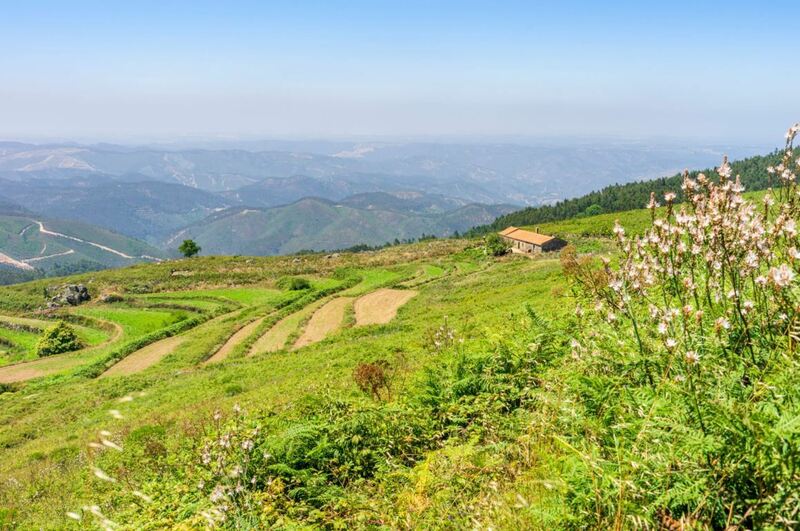 The mountains offer remarkable views over the landscape and the area is great for people who love to walk in nature. Are you looking for the ultimate way to relax during your holiday? Look no further. In Monchique you can find a unique combination of nature, craftsmanship and well-being. After reading this article, you will be the tour guide when visiting Monchique. 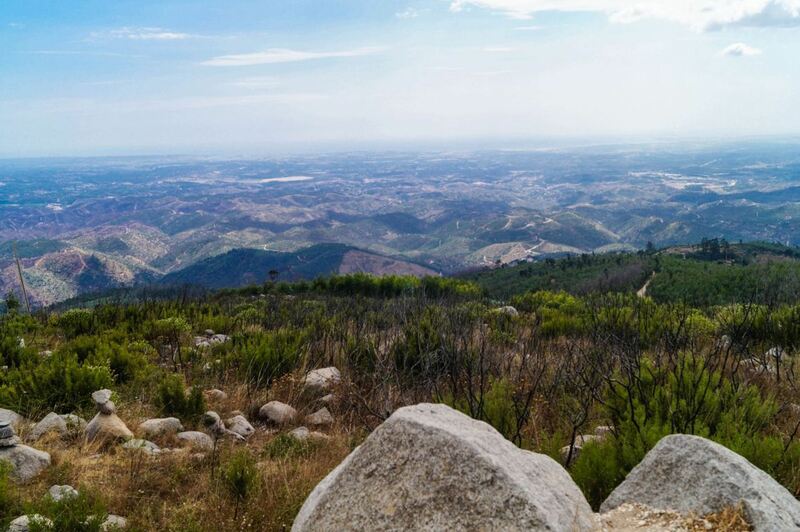 Are you curious to see the nature and the surrounding area of Monchique? Then watch the short video below to get excited. 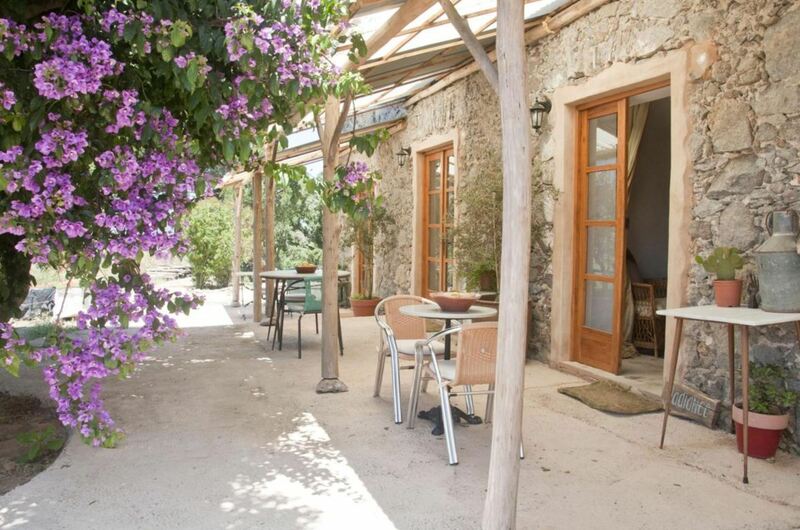 There are several good local restaurants in Monchique, and almost no international cuisine. Below you can find our favourite restaurants near Monchique. Foz do Banho. 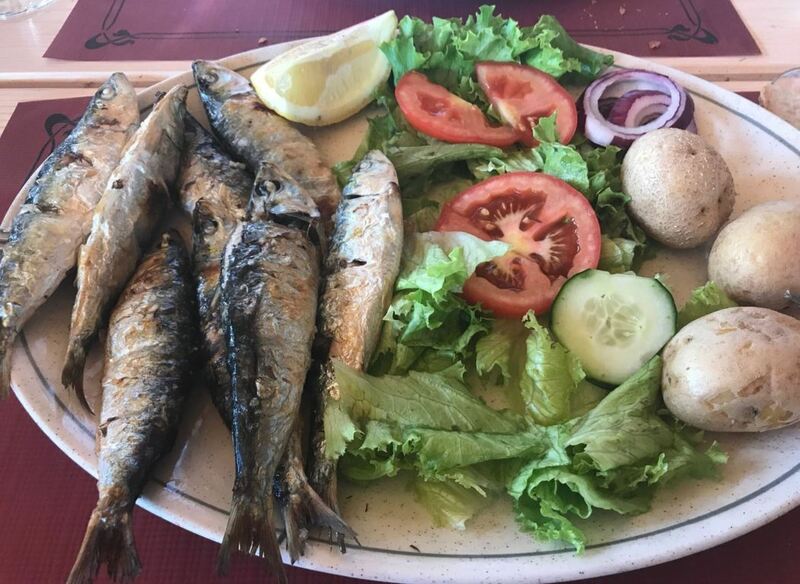 This Portuguese restaurant offers great value for money. Their food is very good and the service too. Excellent piri piri chicken. 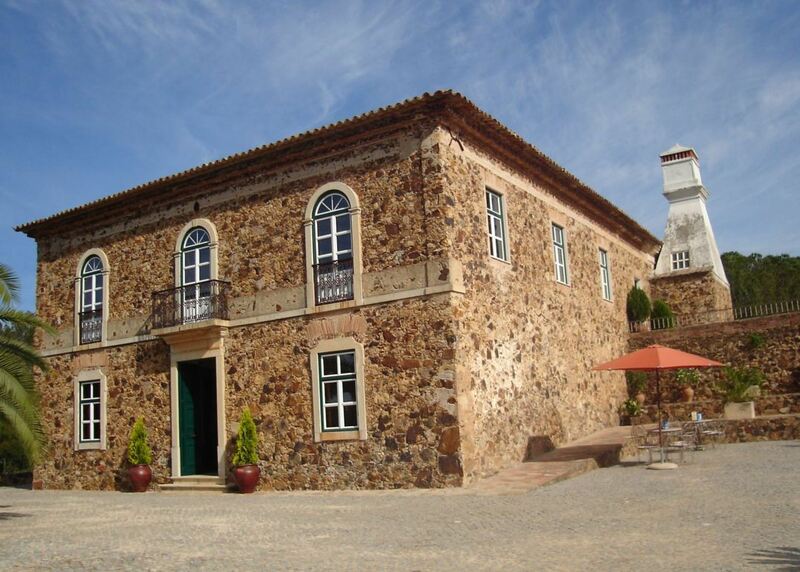 Located near Caldas de Monchique and the Monchique Resort & Spa Hotel. O Luar da Foia. This local restaurant on the mountainside has a lovely view over the area. The food is cooked to perfection and is reasonably priced. Great place. A Charrette. This restaurant offers good food and good service. Generous portions as well. They have a variety of dishes, but especially the black pork is highly recommended. It is located in the narrow streets of Monchique town. The small village of Monchique is a quiet and peaceful place. The central square has a friendly atmosphere with fountains and flowers. 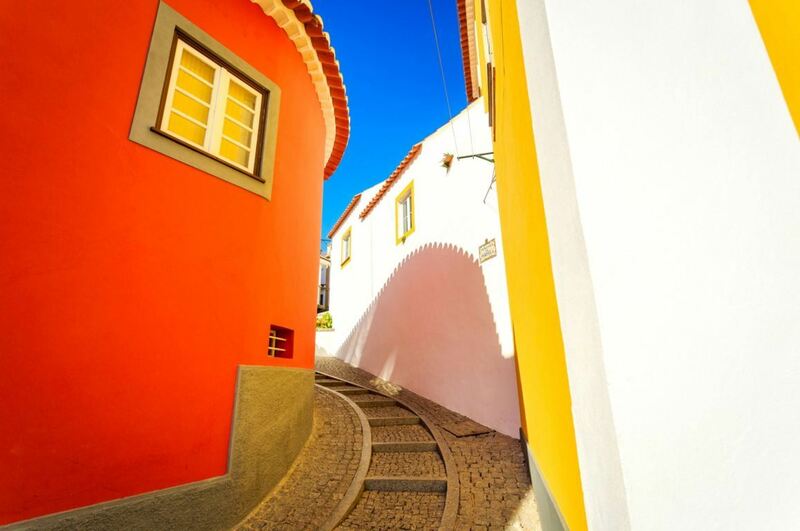 In the centre of the town you will find many narrow cobbled streets. The houses in Monchique are quite colourful, which gives the place its own character. Make sure to take your time to walk around the town. You will find some hidden but beautiful alleys. 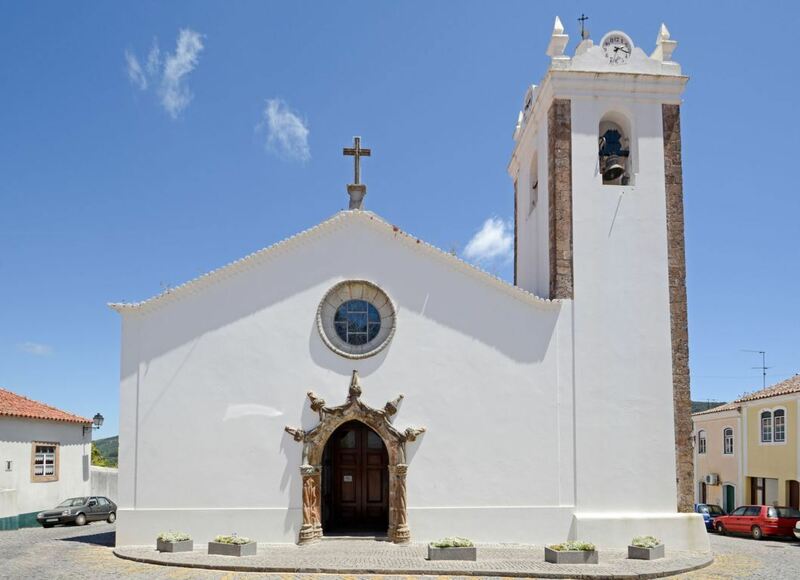 Near the centre of the town, you can find the Parish Church, better known as Igreja Matriz de Monchique. This pretty church was built in the 16th century and reconstructed after the earthquake of 1755. It is well preserved. From the outside, the doorway stands out. Inside you can find a nicely carved statue of Jesus on the cross. 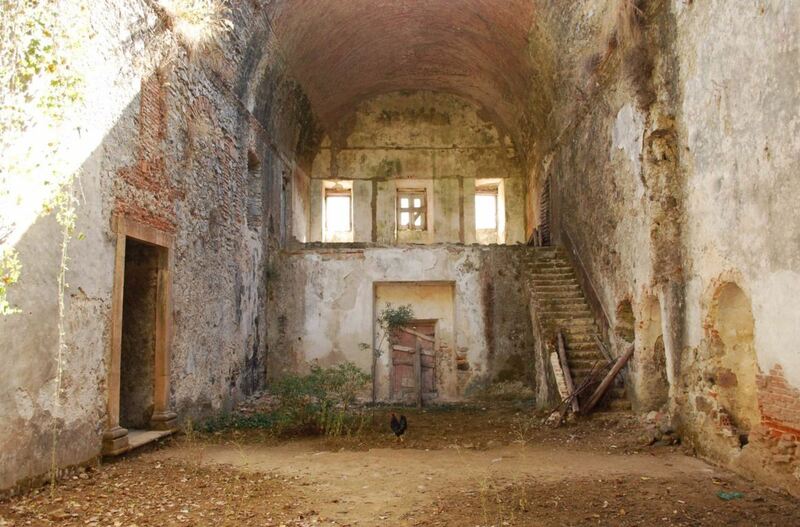 On the hills above the town you can find the ruins of a Franciscan convent, known as Convento de Nossa Senhora do Desterro. This monastery was built in 1631, but was completely destroyed by the earthquake of 1755. It is about a 15 minute walk uphill from Monchique, with some steep sections. The convent is situated on private land, but the owner welcomes visitors without charging anything. From the convent you can enjoy a beautiful view over Monchique and the surrounding area. This view alone is worth the visit. 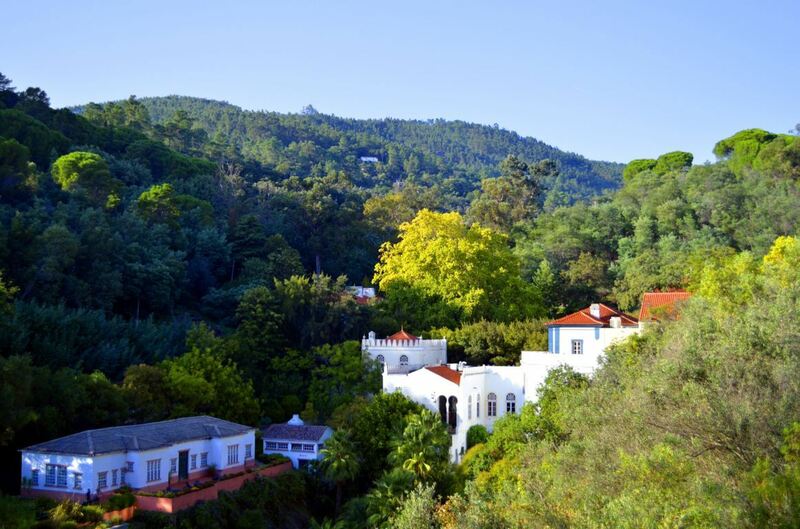 Near the village of Monchique you can find a famous spa, called Caldas de Monchique. It is one of the most beautiful places of the region and it is absolutely the best water of the Algarve. The warm spa water has a temperature of around 31 degrees Celsius when it streams downwards from the mountain. It is said that the water is very healthy for the human body. The water is used for relaxation, but also for the treatment of rheumatism and some respiratory illnesses. 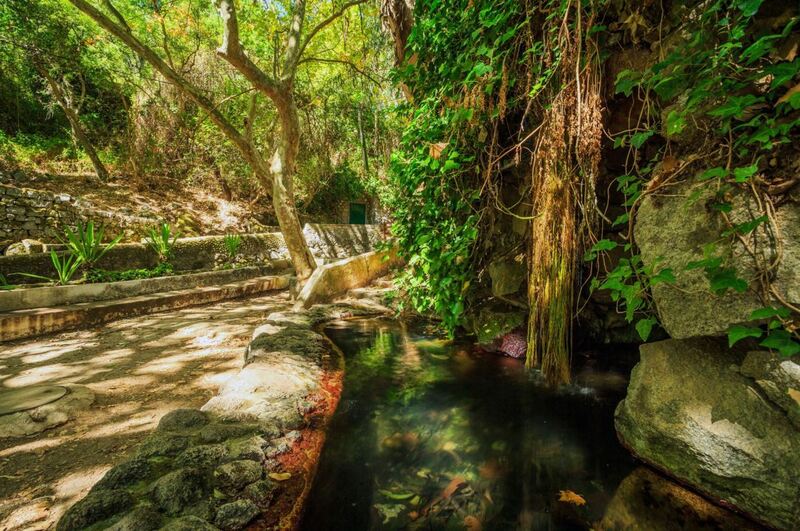 The healing properties of this mountain spring water were already discovered by the Romans. Near Caldas de Monchique you can also take a long hike (18 km, which takes about 6 hours). This is a great way to admire the beautiful nature. Near Caldas de Monchique you can find a small theme park called Parque da Mina. It explains the workings of an old iron ore mine and provides some entertainment. In the basement you can see how the liquor medronho is made. There is also a small petting zoo outside. Especially children love to feed the animals. If you are travelling with kids, this is a nice place to visit. Mount Fóia is the highest point of the Algarve (902 metres). The mountain is part of the mountain range of Serra de Monchique. You can reach the peak of Fóia by foot, by mountainbike or by jeep. From the peak of Fóia you have phenomenal panoramic views over the Algarve. You will feel like you are on top of the world. Make sure to visit only on a clear day with no clouds, otherwise you won’t see much. Because of the height, Fóia is one of the coldest areas of the Algarve. It can be quite cold or windy high up the mountain. When you go to Fóia, make sure you bring some warm clothes with you. Make sure to also bring some water. Along the road towards Fóia, you will find several restaurants. The following video shows you the breathtaking view from the top of Fóia. Serra da Picota is the second highest point of the Algarve (774 metres). It is part of the mountain range of Serra de Monchique. The view from the top is stunning. It is also a very peaceful place. You can go up the mountain by car, but it is best to walk the last part. Some people find Serra da Picota even more beautiful than Fóia. The most beautiful thing in Monchique is its surrounding nature. Many people visit the area to take long walks or for mountain biking. It is very peaceful to just walk around and enjoy the sounds of nature. Moreover, the area is very suitable for birdwatching. Also the vegetation is quite diverse. Among others, you can find pine trees, cork oaks, orange trees, eucalyptus and chestnut trees, as well as many flowers and shrubs, rosemary, heath, oleander, arbutus and rock roses. The mountains of Monchique provide a spectacular view over the area. 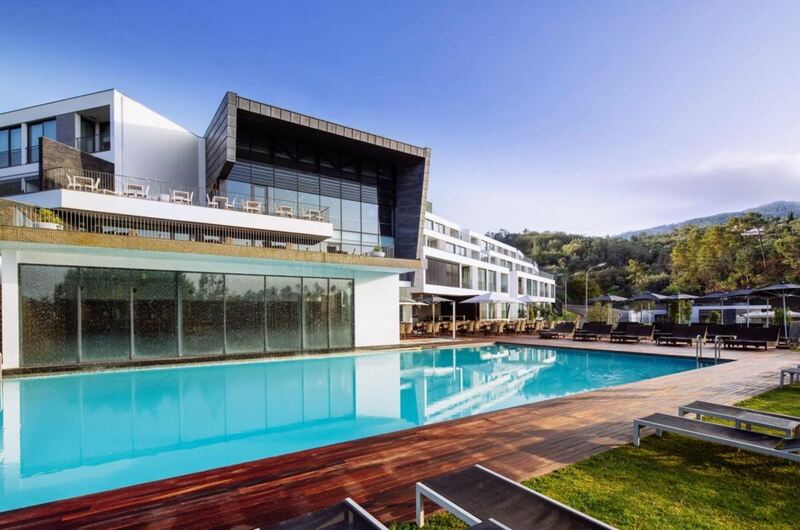 There are some good hotels near Monchique. Many of them are focused around wellbeing and offer spa treatments or yoga classes. Below you can find our favourite hotels in the area. Monchique Resort & Spa. This five star hotel is everything you need to relax. They offer fabulous spa & wellness facilities, including a sauna, steam room and aromatherapy. There is also a gym and they offer group classes of yoga and other sports. The rooms are very big, with a separate living room and bedroom. Also the service is very good. Truly a relaxing experience. The Oasis at Far Out Inn. This country house is surrounded by nature, so it is a great place to relax. The accommodation has superb staff and great rooms. The breakfast is also very good. There is a nice garden and a terrace with fabulous mountain views. 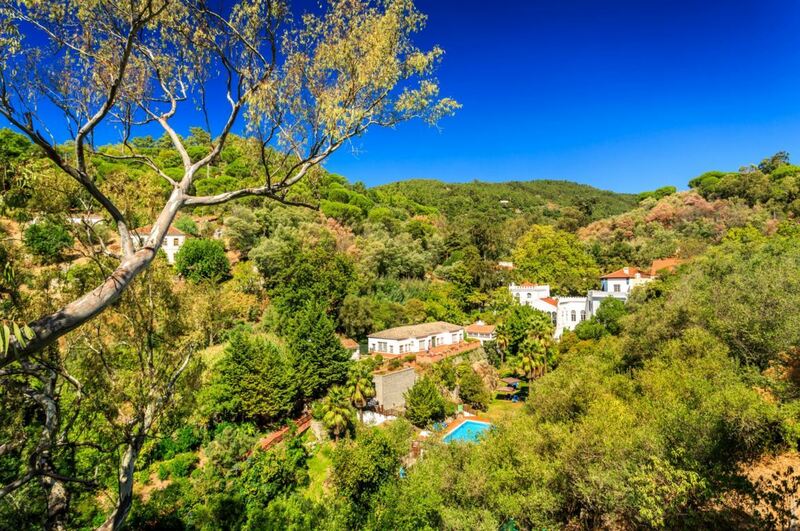 Located in the countryside, just outside the town of Monchique. Casa dos Batalim. 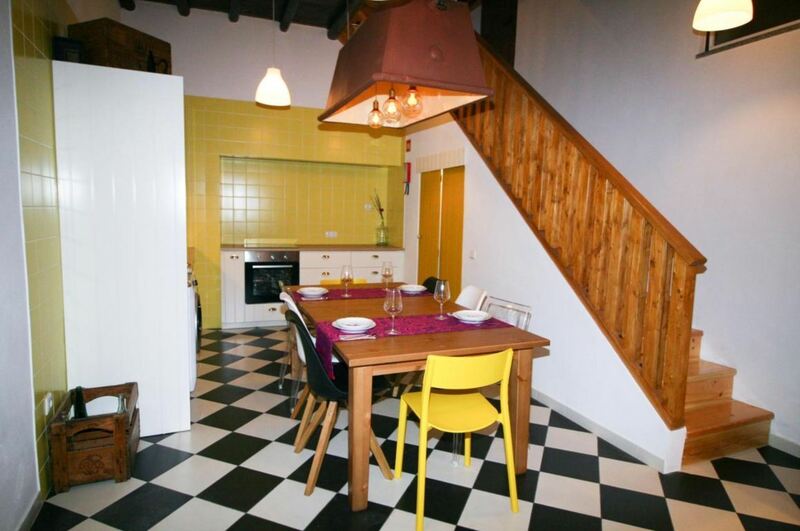 This bed and breakfast offers everything you need for a great stay in Monchique. It is clean and comfortable. There are kitchen facilities, so you can cook your own meal. Moreover, the owners are really friendly. Located in the centre of Monchique town. After the busy summer season of last year, we recommend to book your hotel now, as it will probably sell out. Below you can find a map with the location of hotels in Monchique. By changing the date of your holiday, the map will show you the current prices. Monchique is regularly plagued by fires, especially during the hot summer months. In 2018, there was a really big fire, which destroyed big parts of the nature. While nature has the amazing capacity to recover, this will take some time. 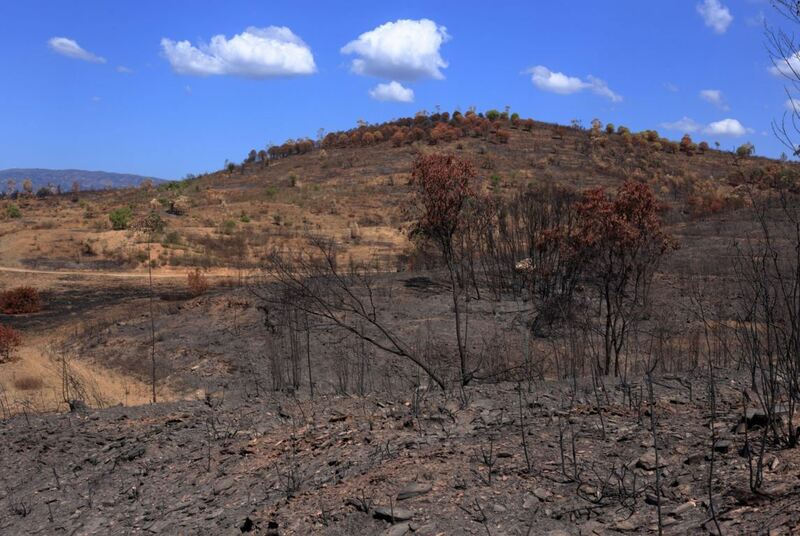 Unfortunately, when you travel to Monchique, you will still see the damage this fire has caused in the area. Fortunately, Monchique is still an amazing destination with beautiful nature. Even after the fire. When visiting Monchique, there are several local specialties that you should give a try. As an appetizer, try the delicious smoked ham ‘presunto’ or the famous ‘enchidos’, several types of sausages. Other specialties are ‘frango na púcara’ (chicken in the earthen pan) and the ‘assadura’ (small slices of grilled pork spiced with garlic, lemon juice and olive oil). Some restaurants specialize in chicken piri piri. Also make sure to taste the delicious almond sweets. To finish your meal, drink a ‘medronho’, the typical firewater from the region. Feira do Presunto. This is a festival around smoked ham, which is produced locally. Also you will be able to buy other local products, like medronho and honey. The festival takes place in July. Feira dos Enchidos. This festival celebrates locally produced sausages and cured meats. A local specialty is meat from the black pig. There is also music and entertainment. It takes place in March. Monchique has everything you need to relax and enjoy your holiday. If you plan to go on a trip, there are a number of excursions you can take in the area of Monchique. For example, you could visit Mount Fóia with a guide, who knows the hidden viewpoints and can tell you more about the region. Below you can find our favourite excursions in the area. 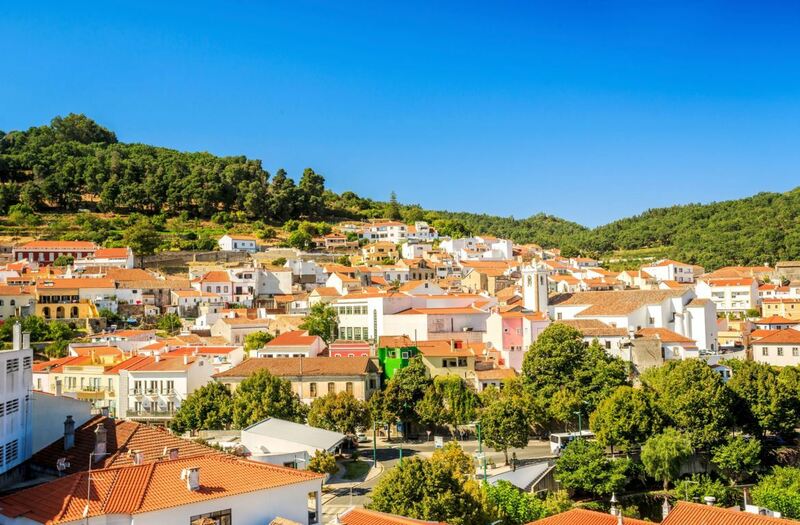 Monchique is a municipality in the Algarve with around 6000 inhabitants, and a density of 15 inhabitants per square kilometer. The small town of Monchique is surrounded by the mountain range of Serra de Monchique. 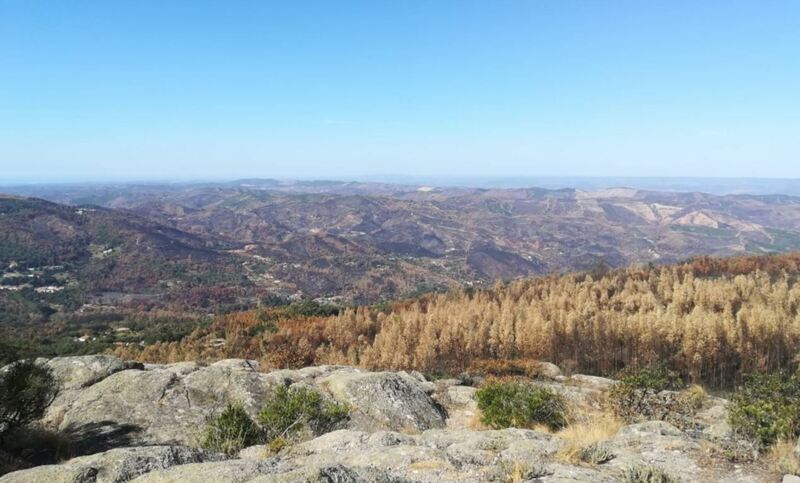 This mountain range is covered with forest that separates the Algarve from the district of Alentejo. The best way to visit the area is by car. The town can be reached via small roads, going up the mountain. Make sure you have a full gas tank, because there are not many gas stations around. It takes about a 1 hour drive from Faro Airport to get there. In the past, this small village lived from agriculture, the production of charcoal, the manufacturing of wooden barrels and the production of medronho. 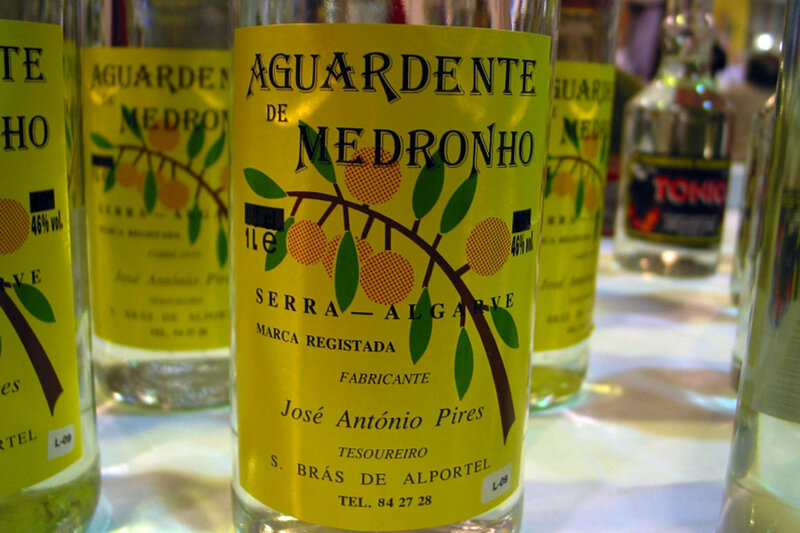 Medronho is a traditional Portuguese alcoholic liqueur made from the fruits of the Arbutus tree. Nowadays, the region of Monchique is famous for its handicrafts: wooden chairs, wickerwork, cork articles, lacework, etcetera. 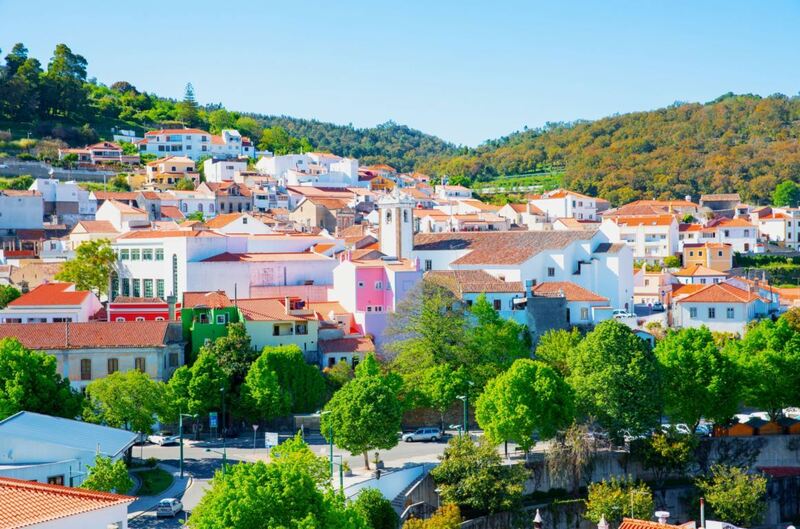 The town is also famous for its health resorts and geothermal springs, with Caldas de Monchique as the spa capital of the Algarve.